Nostalgia Press did publish two small series. Serie one counts 4 books with full colour plates. These are printed in 1978. Serie two are direct reprints of the 7 Hastings House volumes. These are the Max Trell reading books with the same titles. The only difference is the cover page. First re-printed in 1976. It is to be said that there was a second print in 1977. 1: Prince Valiant Vol 1: In the Days of King Arthur, Nostalgia Press and King Features Syndicate, 1974 (PV #1-153). Huge HC book. 2: Prince Valiant Vol. 2: Companions in Adventure, Nostalgia/KFS, 1974 (PV#154-311).Huge HC book. 2: Prince Valiant Vol. 3: Queen of the misty ilands, Nostalgia/KFS, 1974 (PV#311-? ).Huge HC book. 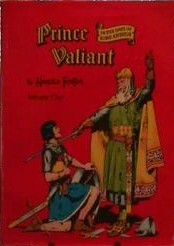 4: Prince Valiant Vol. 4: Adventures in two worlds, Nostalgia/KFS, 1974 (PV#? ).Huge HC book. 1: Prince Valiant in the Days of King Arthur (PV #1-103). 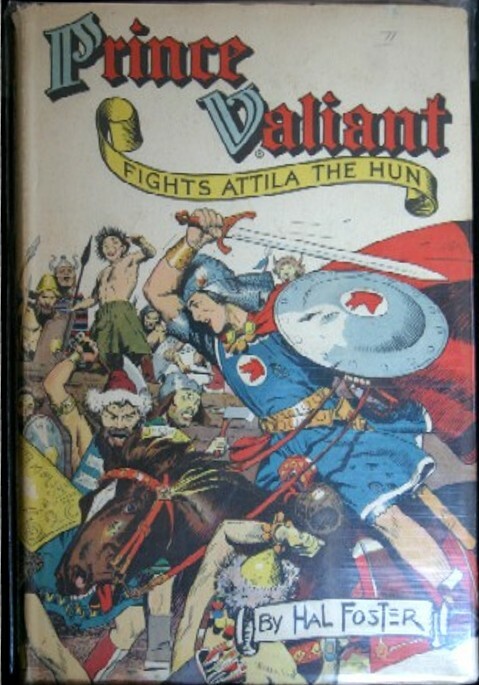 2: Prince Valiant Fights Atilla the Hun (PV #103-169). 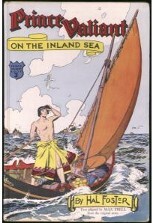 3: Prince Valiant on the Inland Sea (PV #169-251). 4: Prince Valiant's Perilous Voyage (PV #251-350). 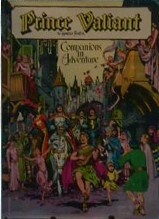 5: Prince Valiant and the Golden Princess (PV #350-434 (incomplete), adaptation by James Flowers). 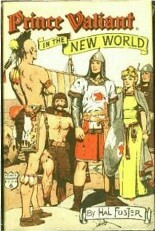 6: Prince Valiant in the New World (PV #467-70,508-593). 7: Prince Valiant and the Three Challengers (PV #593-683). Serie 1; Full color books. Serie 2; Max Trell reading books.